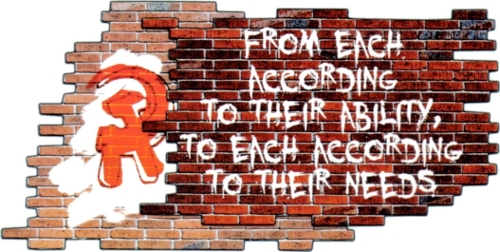 In the Manifesto of the Communist Party, Marx and Engels set out key principles in the establishment of a communist society. When we read through that list, there is very little that is scary about communism. It is quite surprising how much we have already achieved! We have a graduated income tax; during the financial crisis several banks were bought under state ownership; until the 1980s the state owned communication and transport networks (not to mention gas, electric and water); we have free education for all children. Marx even foresaw the importance of the environment by calling for the improvement of the soil. In Britain we could add another point – we have created a National Health Service. The Manifesto of the Communist Party was written over 150 years ago. The principles of the manifesto are still relevant today and its theory is alive in the work communist and Marxist parties around the world. The Communist Party of Britain sets out its programme in the document Britain’s Road to Socialism. But what do communists mean by private property and inheritance? “Hard-won, self-acquired, self-earned property! Do you mean the property of petty artisan and of the small peasant, a form of property that preceded the bourgeois form? There is no need to abolish that; the development of industry has to a great extent already destroyed it, and is still destroying it daily. Wealth, both in property and capital, is overwhelmingly concentrated in the hands of an elite minority. Britain’s monopoly capitalists and their corporations invest and operate on a global scale only matched by those in the USA. Not only do Britain’s capitalists generate profits overseas, but in the UK foreign capital now owns large parts of our transport, energy, media and financial sectors. It is this property that communists seek to bring back into public ownership.